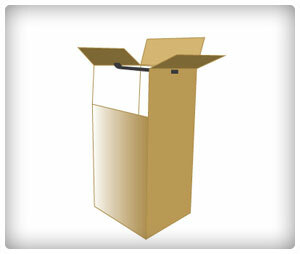 Although they can get pricey, wardrobe boxes are an important tool in the mover’s arsenal. They allow you to keep clothes on their hangers—just hang them up in a wardrobe box, and everything is ready to go! Don’t make the mistake of tossing all your clothes into a garbage bag and getting them wrinkled. Don’t make the mistake of tossing all your hangers into a garbage bag either. They will get tangled. Use wardrobe boxes to consolidate everything neatly and in one place.